When discussing matters of climate change, it should always be framed from the perspective of “we.” The recklessness in one part of the world contributes to the degradation of the entire planet, so our efforts to tackle the problem need to be collective rather than sporadic. That’s not to say that all areas will be affected equally, however. 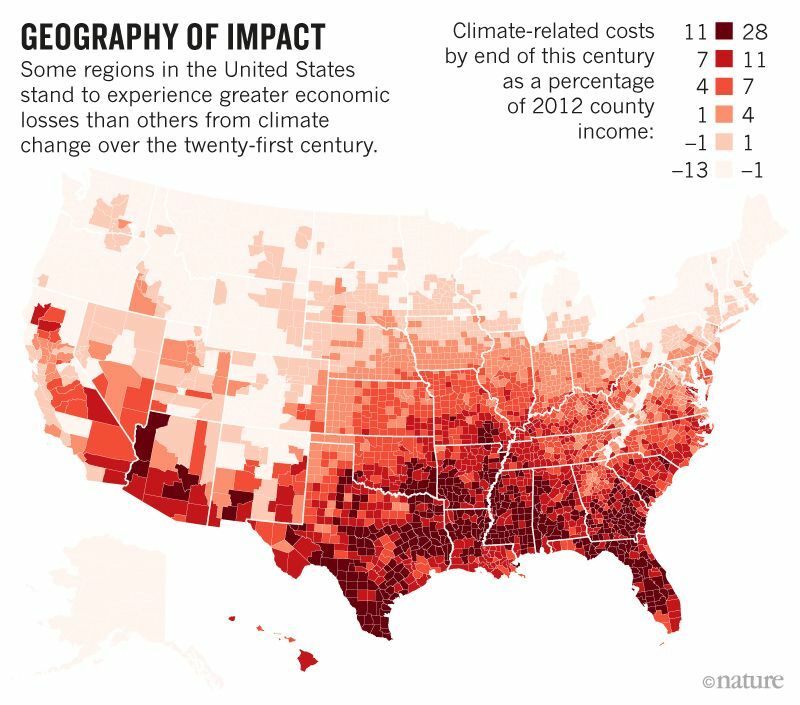 Certainly, there are parts of the United States that are poised to be the most fiscally devastated by climate change. In a twist of irony, these places also happen to be the parts that elect climate change deniers. The Brookings Institution, the nation’s foremost nonpartisan think tank, just released an analysis of which local economies are bound to be hit hardest amidst global warming, and there’s a strong correlation between those places and the very districts that routinely elect legislators who oppose political policies that would help curb climate change. 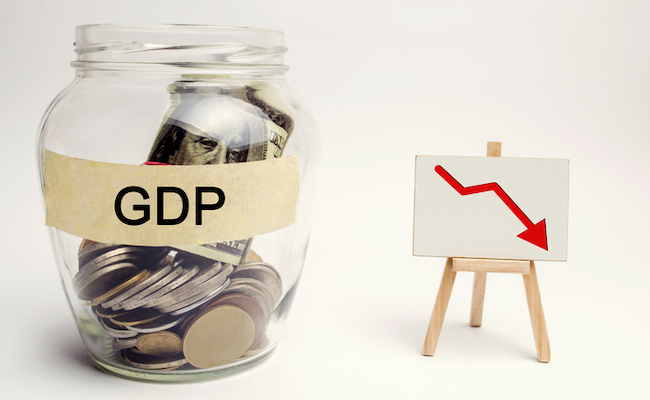 Breaking down the numbers further, the U.S. congressional districts that voted for Republican lawmakers in 2018 are expected to lose 4.4 percent of their total GDP compared to just 2.7 percent for the districts that went to Democrats. One of the more interesting findings is that Northeast and Northwest regions of the country could actually see their economies increase modestly thanks to climate change. The rising temperatures means less money spent on heat in the winter and better conditions for farming and agriculture. Don’t blame them for any of this, though – they’re at least voting in a way to address these changes! Brookings acknowledges that there are some advantages to having climate denial voters getting hit harder and sooner. It’s easier to keep voting against the environment when they’re not seeing it up close, but they’ll be forced to reckon with it more quickly this way. Maybe that’s wishful thinking, but even deeply conservative voters in North Carolina are finally changing their tune on climate change in the wake of massive hurricanes. It’s too bad that it takes a series of disasters to get people to adjust their outlooks, but something’s got to wake them up. For those of us who already vote and advocate on behalf of the environment, there may be some temptation to point and laugh at how Republican voters are screwing themselves worst of all, but again, we have to remember that this is a “we” problem. Better to use data like this to try to convince them it’s real and affects all of us – especially them! After all, we can’t entirely dismiss climate change as karma; just because it appears that it’ll play out that way in the U.S. doesn’t make it true on a global scale. Some of the first victims of climate change have been the tiny island nations, and you know they are not a root cause of our carbon emissions catastrophe. Considering the U.S. government is one of the worst offenders, that’s why it’s extra important to get the red-state voters onboard to redirect the political course – preferably before they’ve seen just how much it impacts their wallets. The US needs to be taking collective action.